This is an awesome simple recipe made with leftover rotis. Converting the old rotis into a sweet dish is a common practice in the rural side of Gujarat. Generally either the rotis are made into poha or laddu and had as a snack item. 1 Cup Crumbled Jowar Rotis (Approx. 4 or 5 rotis are needed for a cup. Crumble the rotis in a mixie. Dont run the mixie continuously. Instead pulsate. Mix all the above ingredients well and make laddus. 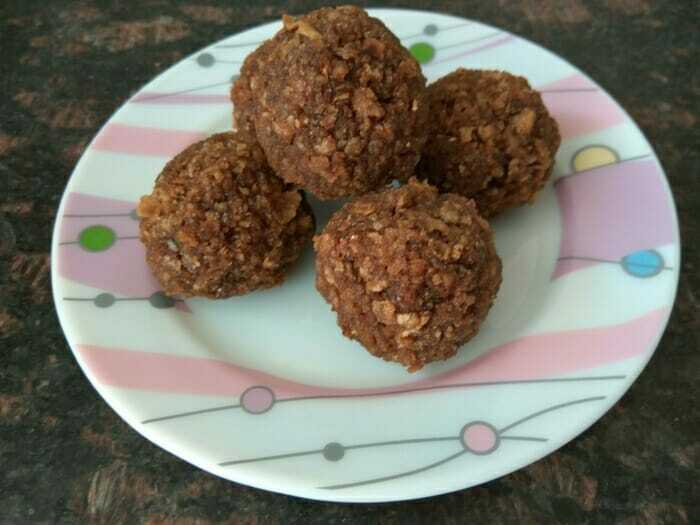 If too dry add 2 more tbsp of ghee and make laddus. Same way, leftover bajra rotis can also be made into a delicious sweet.